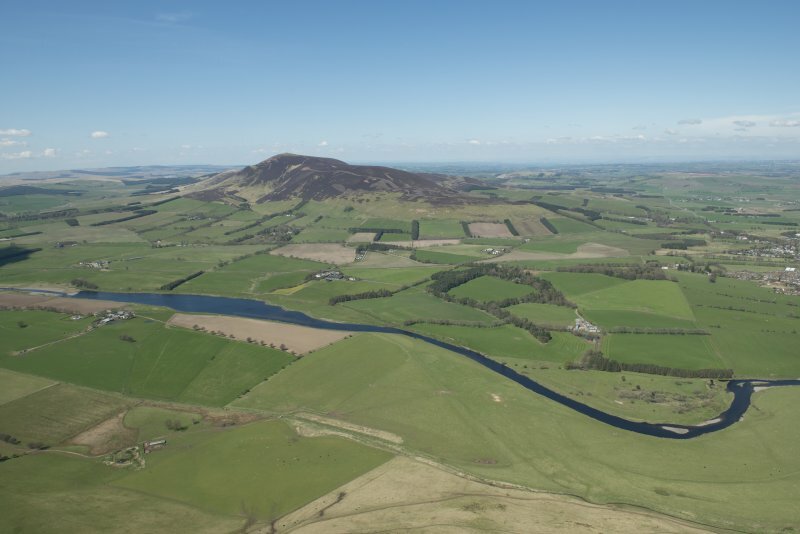 General oblique aerial view of the Upper Clyde Valley centred on Quothquan Law with Thankerton and Tinto Hill beyond, looking to the WSW. 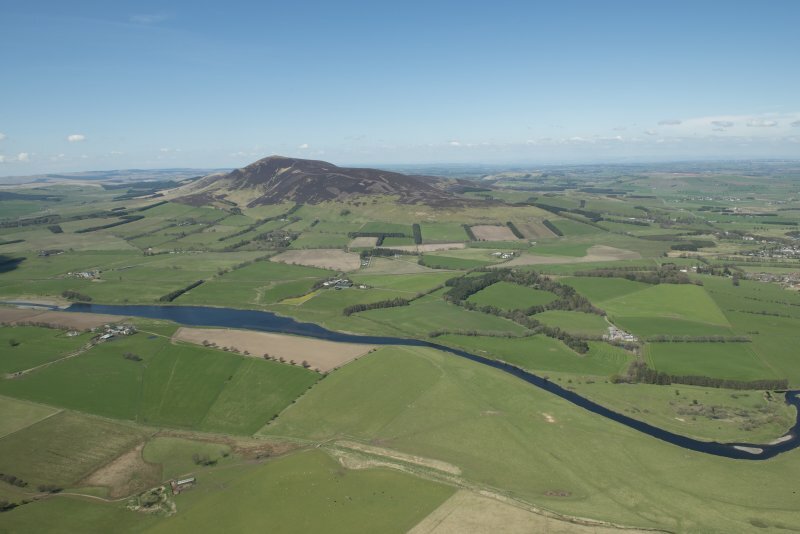 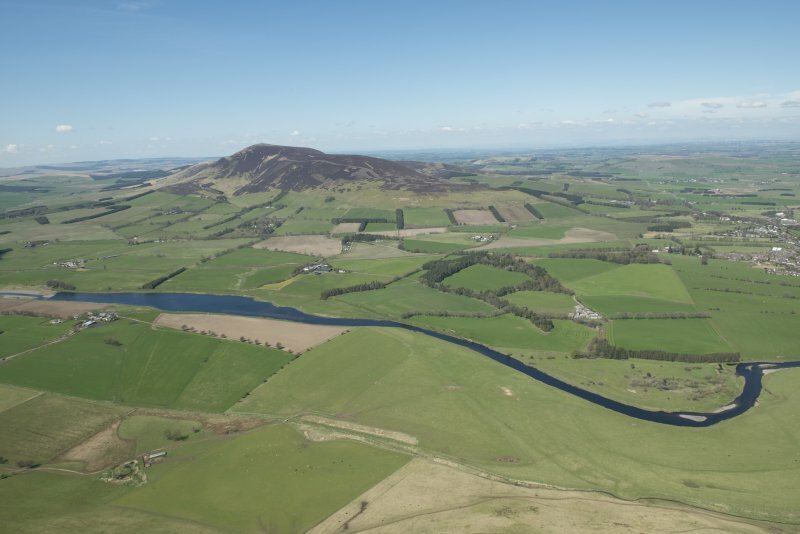 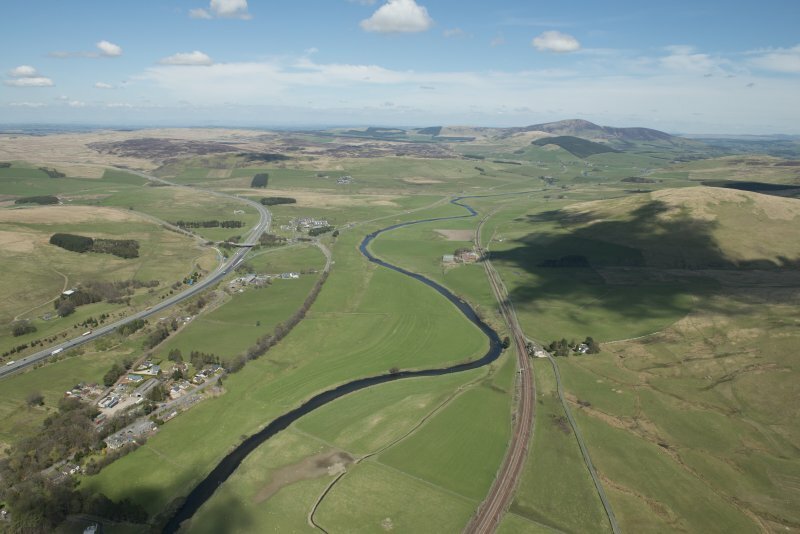 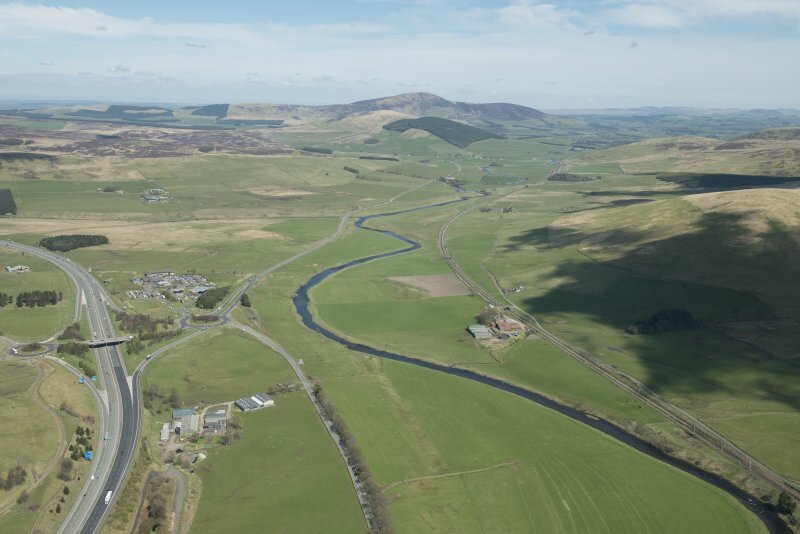 General oblique aerial view of the Upper Clyde Valley centred on Tinto Hill, looking to the WNW. 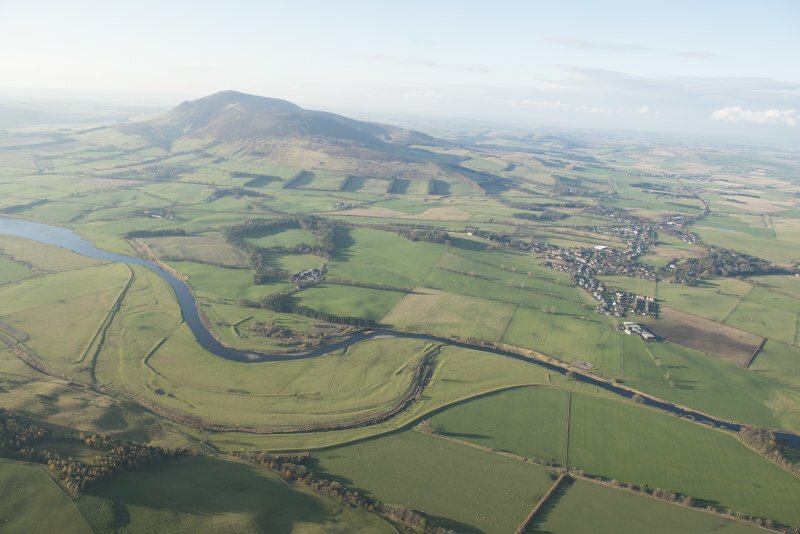 General oblique aerial view of the River Clyde with Tinto beyond and the flood bank in the foreground, looking W.
General oblique aerial view of the Upper Clyde Valley centred on Tinto Hill, looking to the NW. 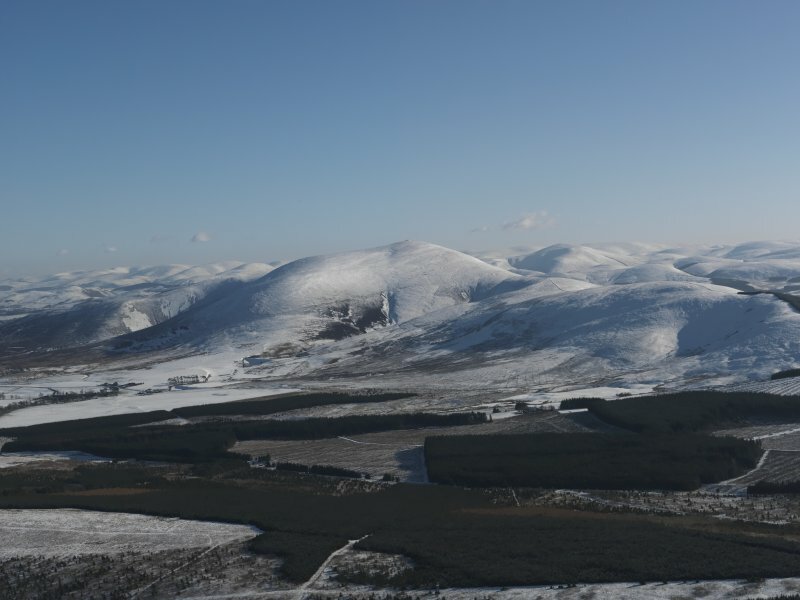 General oblique aerial view of snow-covered Tinto Hill and the Souther Uplands, taken from the NW. 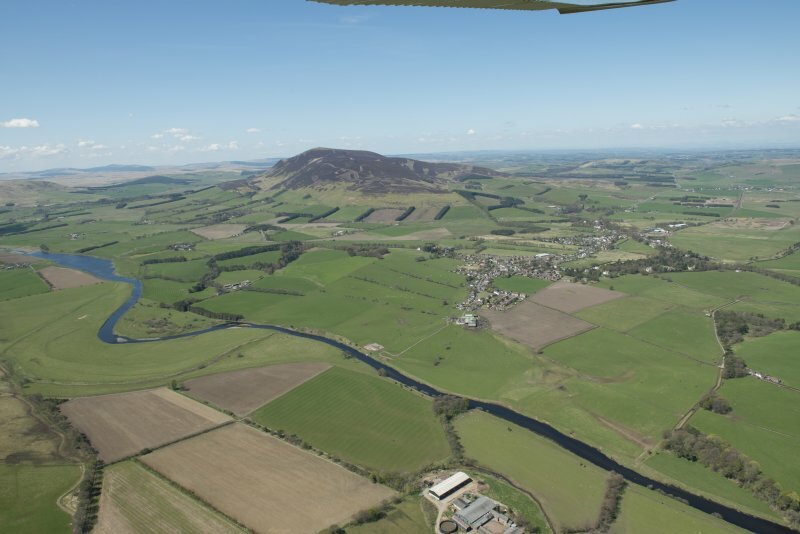 General oblique aerial view looking across Broughton village towards Tinto, taken from the E.
General oblique aerial view of the Upper Clyde Valley centred on Dungavel Hill with Tinto beyond, looking to the NE. 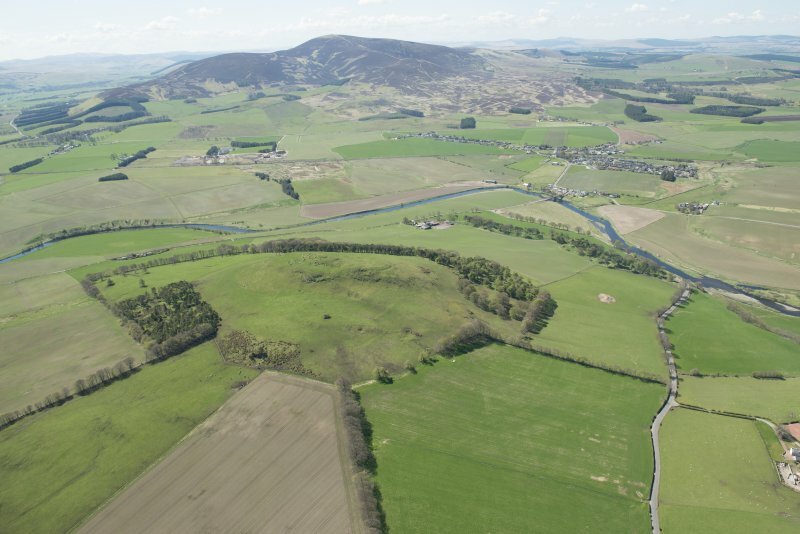 General oblique aerial view of the Upper Clyde Valley centred on Dungavel and Tinto Hill, looking to the NE. 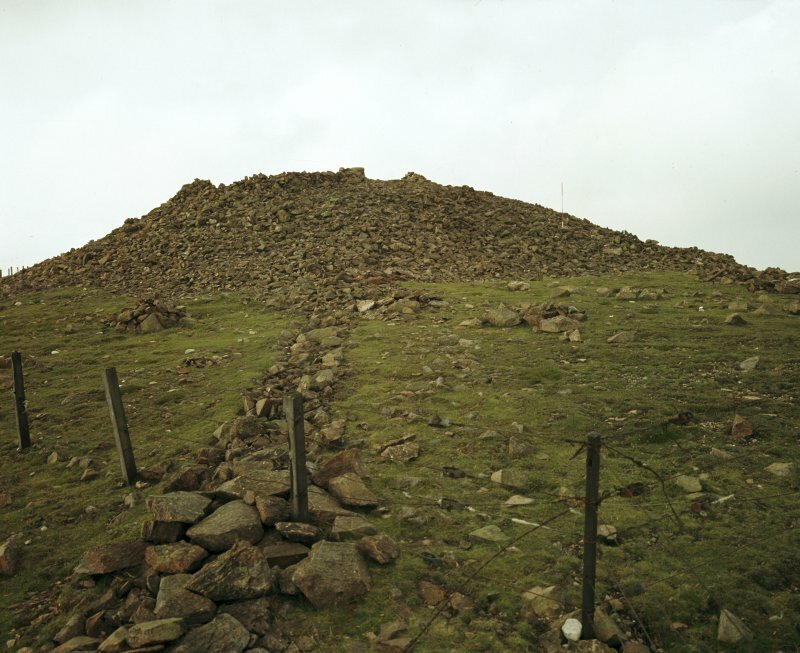 View of cairn from the west. 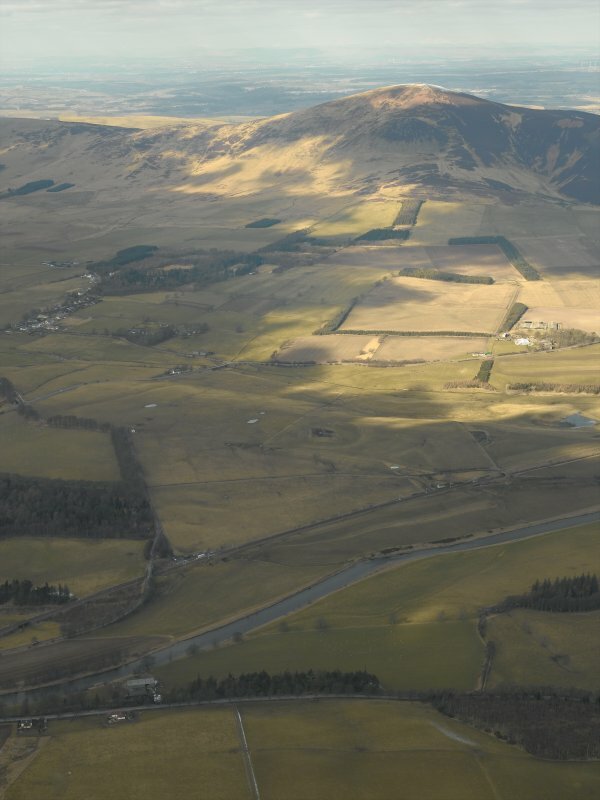 General oblique aerial view of Tinto Hill in the Upper Clyde Valley centred on the village of Symington, looking to the W.
Oblique aerial view of the remains of the cairn on Tinto Hill, with the Upper Clyde valley beyond, taken from the NW. 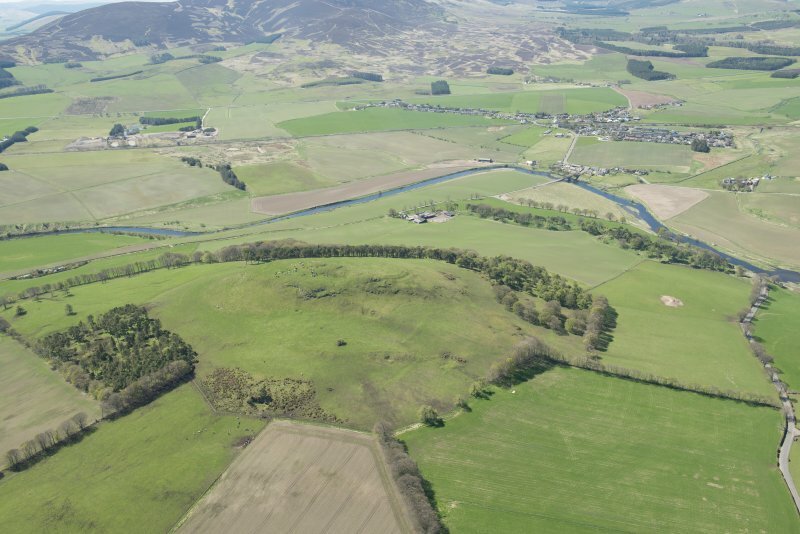 Distant general oblique aerial view looking across the Clyde towards Tinto and the remains of the cairn, taken from the SE. 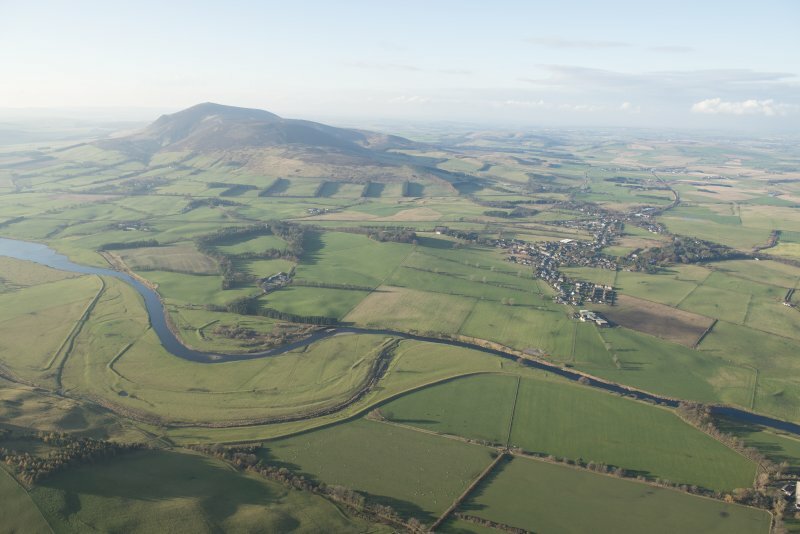 General oblique aerial view of the Upper Clyde Valley centred on Quothquan Law with Thankerton and Tinto Hill beyond, looking to the SW.
General oblique aerial view of the Upper Clyde Valley centred on Quothquan Law with Thankerton and Tinto Hill beyond, looking to the W.
General oblique aerial view of the Upper Clyde Valley looking towards Dungavel Hill and Tinto, looking to the NNE. 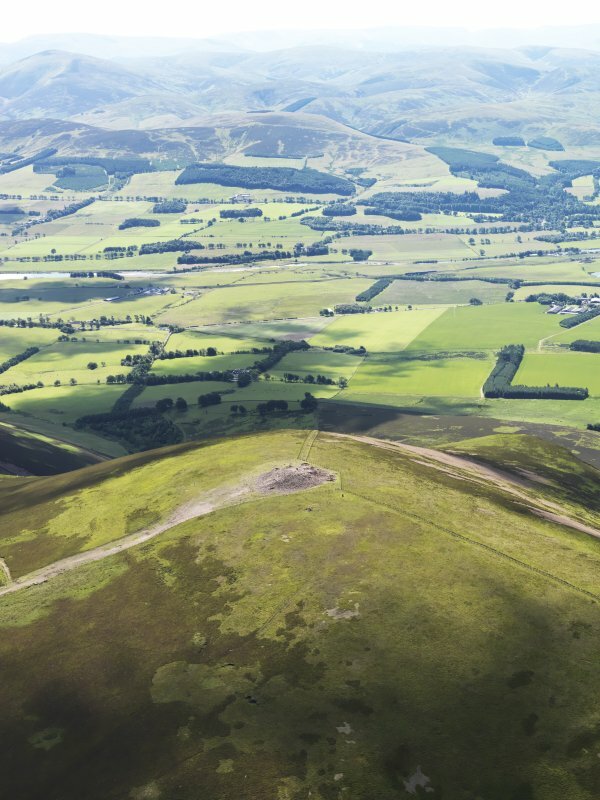 Oblique aerial view of the remains of the cairn on Tinto Hill, with the Upper Clyde valley beyond, taken from the WNW. 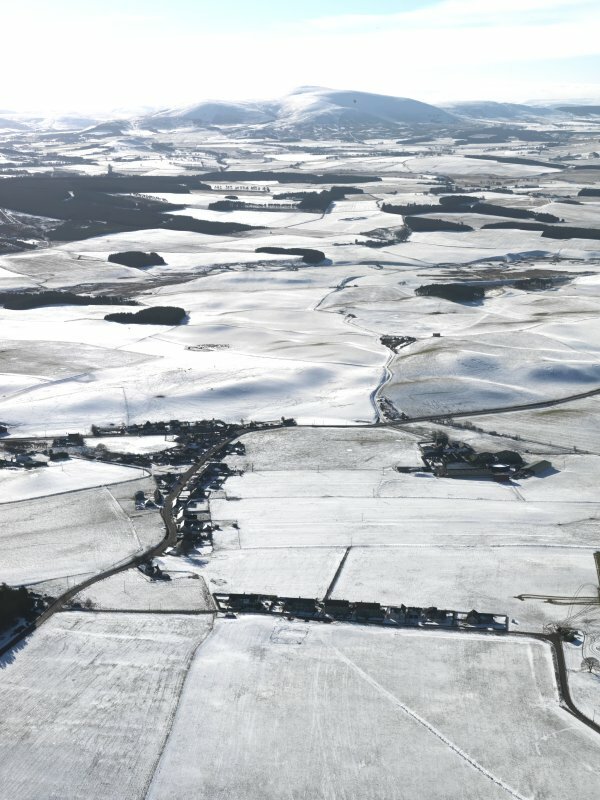 General oblique aerial view looking over the village of Newbigging towards snow-covered Tinto, taken from the NNE. 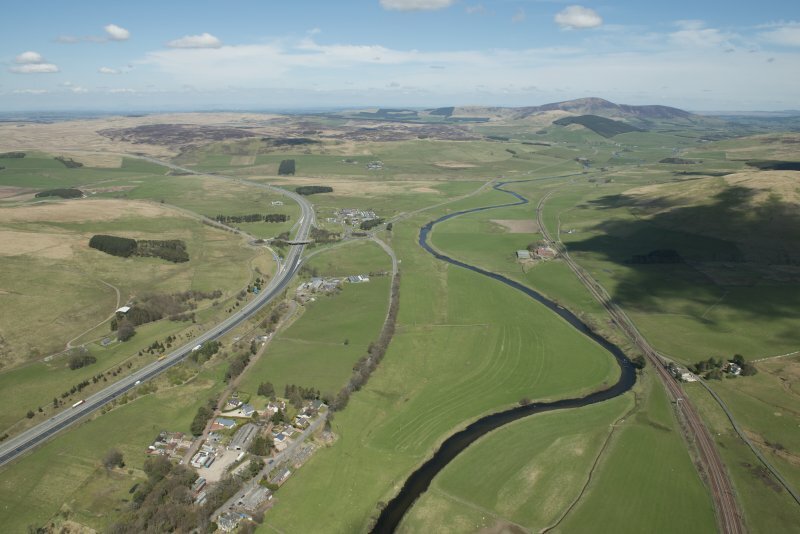 General oblique aerial view of the River Clyde with Tinto beyond and the flood bank in the foreground, looking WNW. 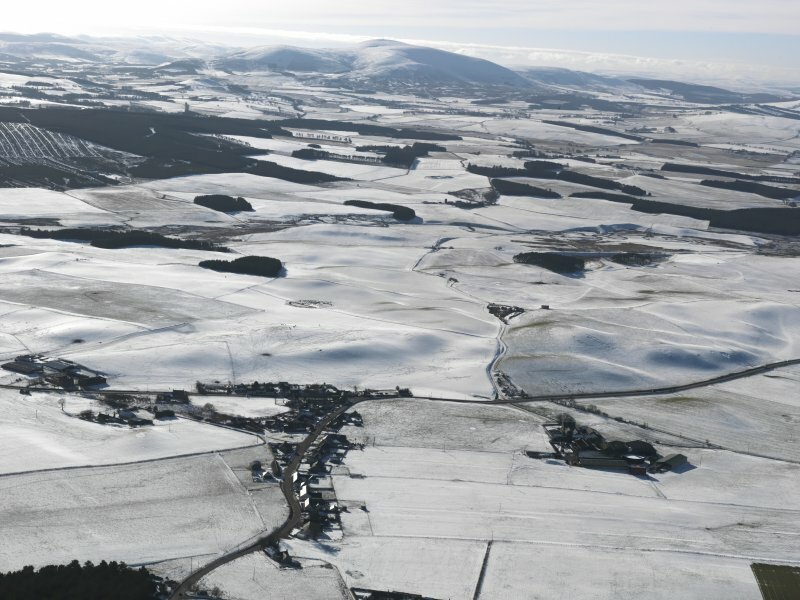 General oblique aerial view looking over the village of Newbigging towards snow-covered Tinto, taken from the North North-East. 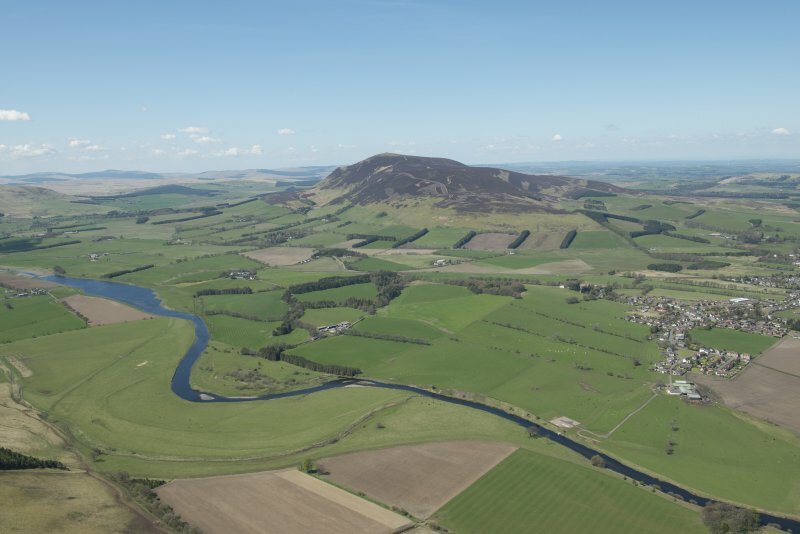 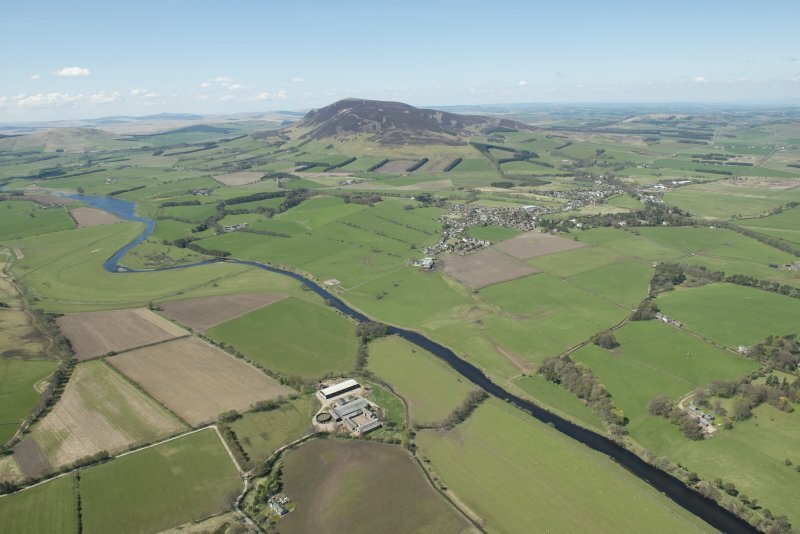 General oblique aerial view of Tinto Hill and the Upper Clyde Valley centred on the village of Symington, looking to the WNW. 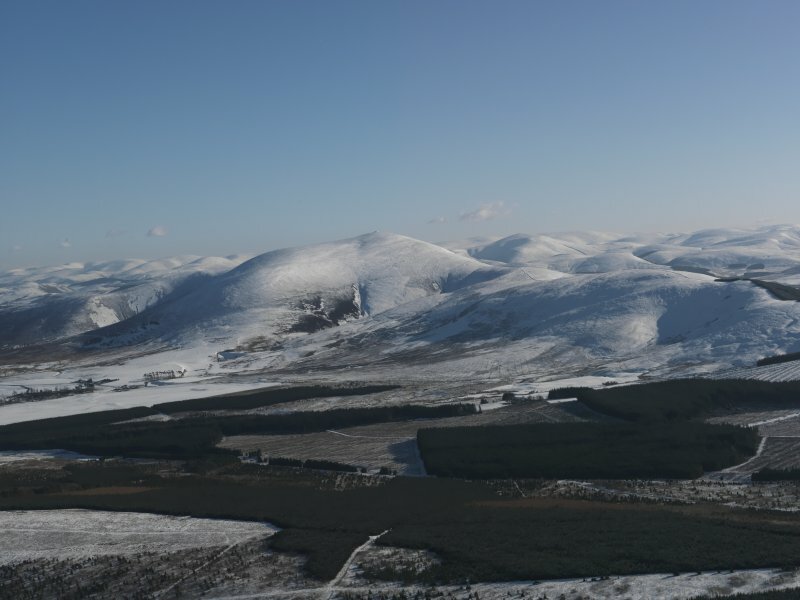 it by visitors, it remains one of the largest cairns in Scotland. 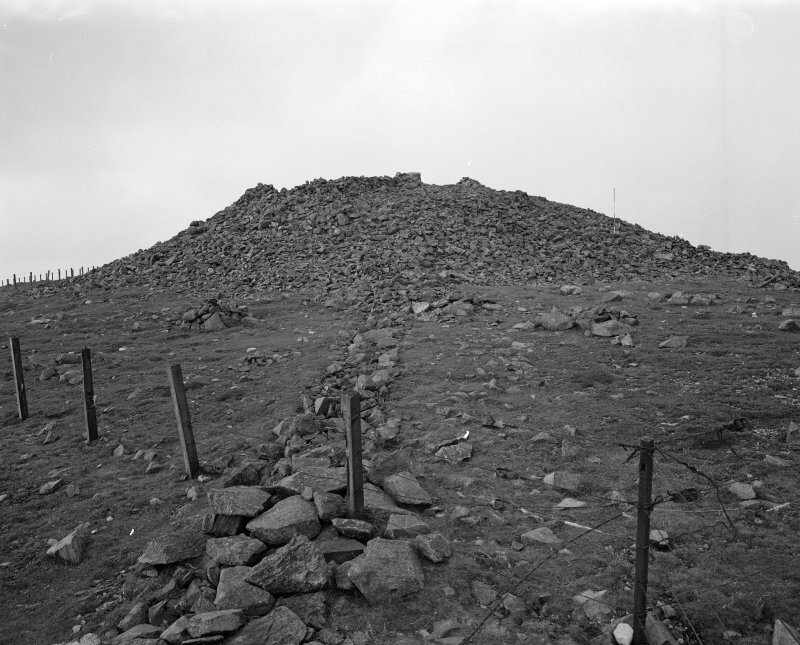 This cairn was generally as described by the RCAHMS when seen in 1955. 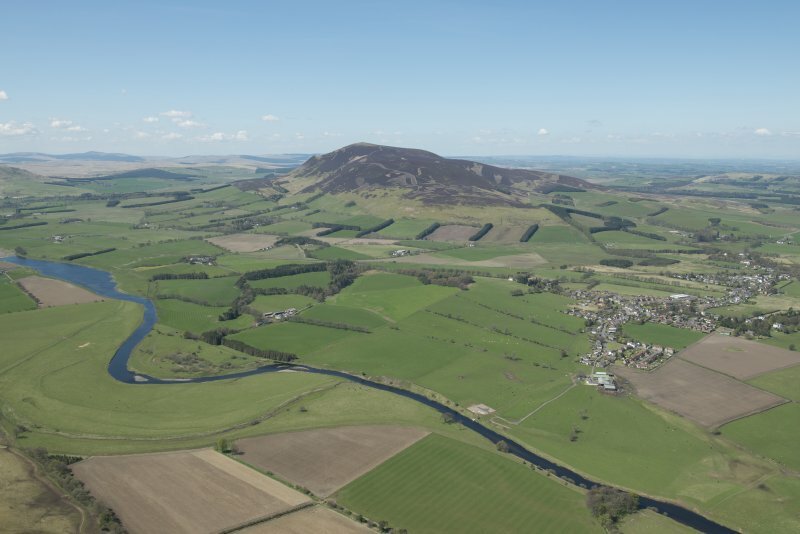 Visited by OS(JD) 21 June 1955. 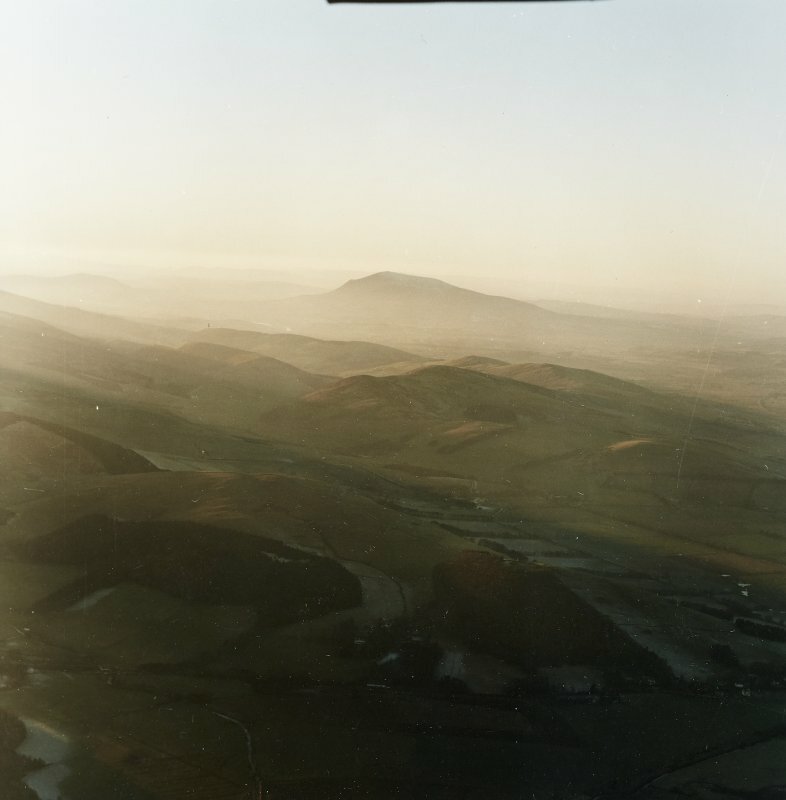 Visited by OS(JRL) 21 February 1979. 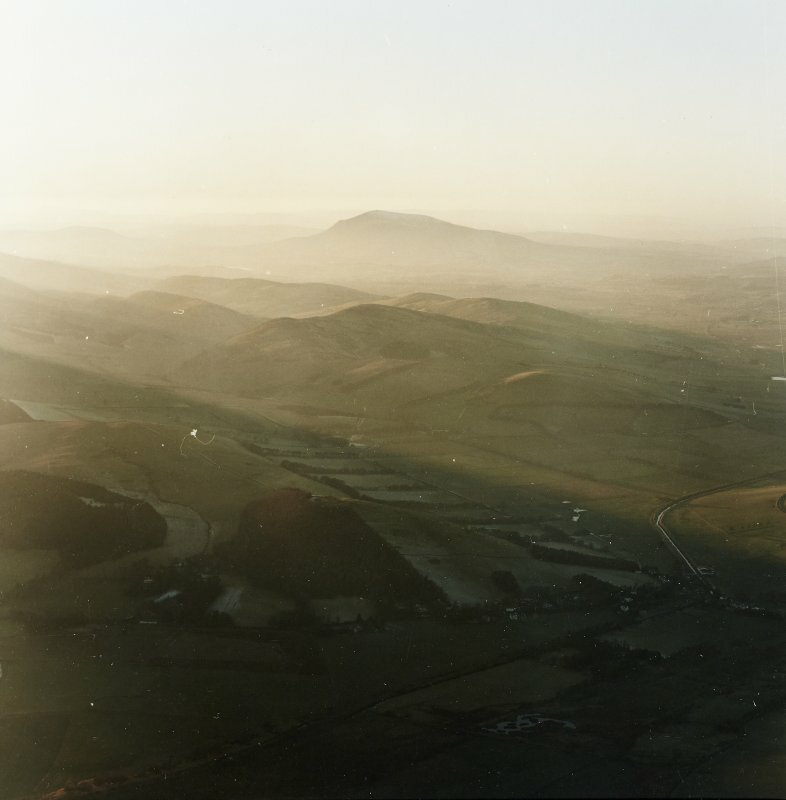 The cairn on the summit of Tinto Hill (712m OD) is one of the largest bronze-age round cairns in Scotland, measuring 43m in diameter by almost 6m in height It is a prominent local landmark, being visible for many miles and, on a clear day, the stiff Ish walk to the summit is more than handsomely repaid by the magnificent view to be gained of the valley of the Clyde and the Southern Uplands. 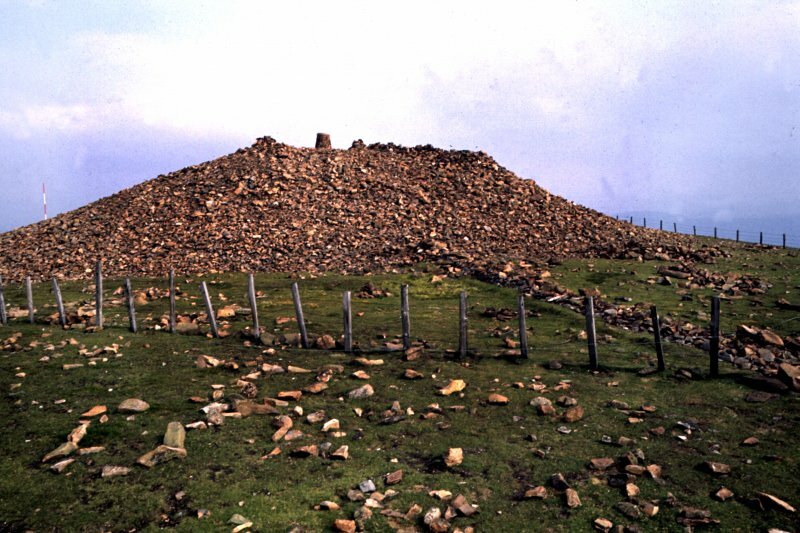 Although the majority of round cairns are to be found at lower levels, there are a small number of these, rather remote, hilltop cairns in southern Scotland. 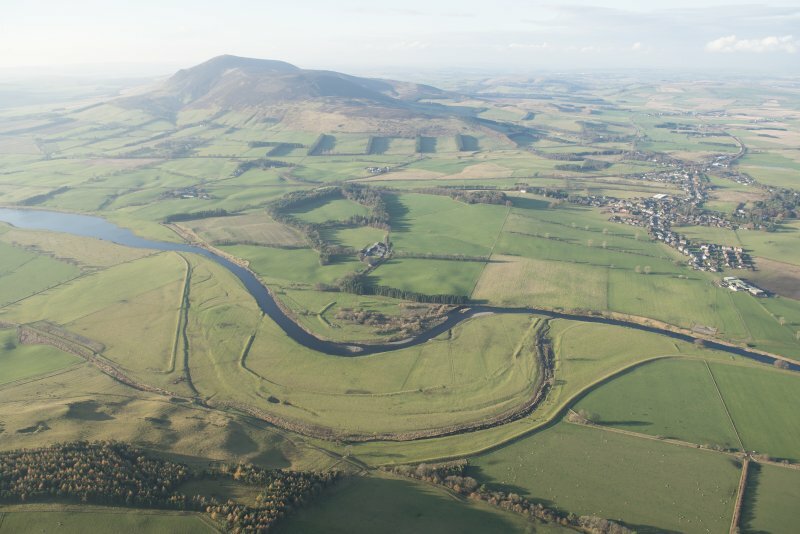 They are frequently large and must have held a special place in the minds of the builders, being more than simple burial-places for the dead. 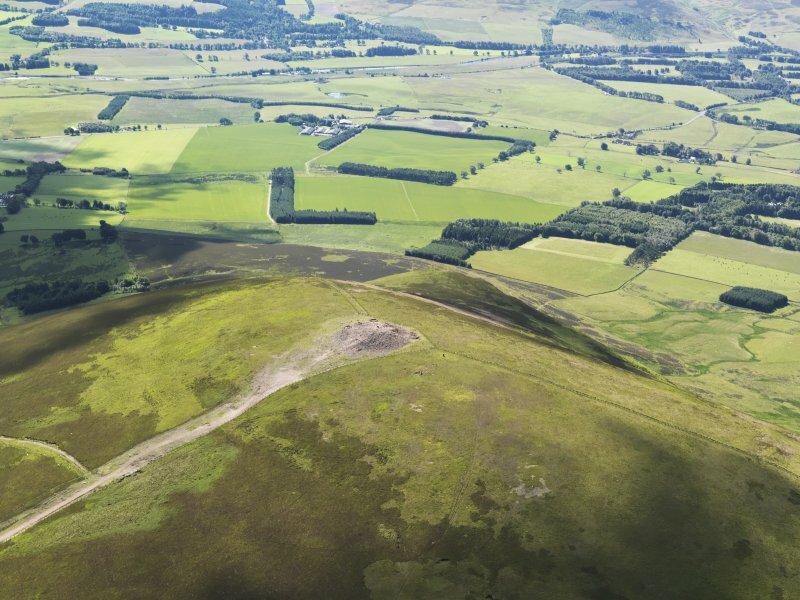 In fact, they are reminiscent of the hilltop memorials erected in the 18th and 19th centuries by local landowners to commemorate their ancestors. 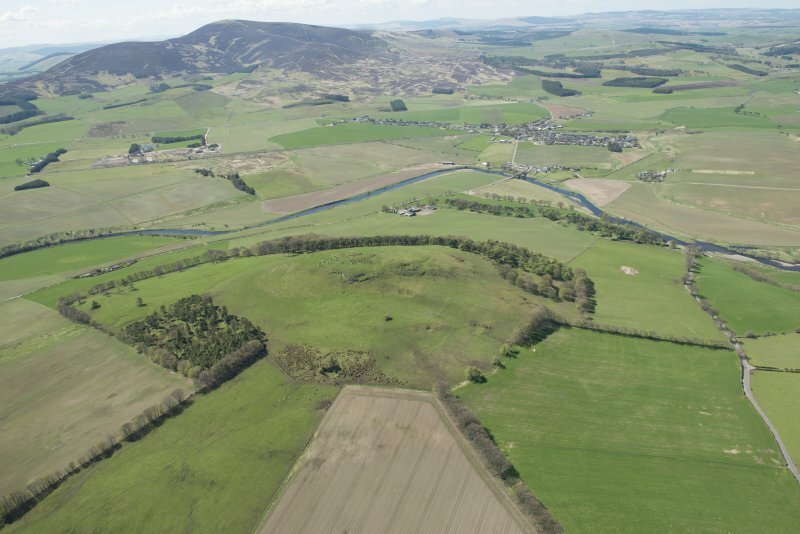 For other examples of hilltop cairns see, Auchensaugh Hill (NS 853272); Cairn Kinny (NS 784214; Cairn Table (NS 724242).